This class has reached capacity and is no longer accepting registrations. Do your thoughts align with the life you desire? Do you find yourself focused on things that just aren’t producing the destiny you have in mind? When we change our thoughts—when we fix our focus—we begin to see our desired destiny move into place. When we fix our focus, the negative thoughts and directions start to lose their power and we are able to follow our focus to a life we are made for. A new day, a new dawn. Jesus defeating death changed everything. No matter who we are or where we’ve been we can expect that a new dawn is coming in our lives! Get ready for a weekend packed with experiences for the whole family. Egg hunts with awesome prizes, outdoor Western Branch sunrise service, fun photo ops for all, powerful worship music, creative service elements, encouraging messages—this Easter is going to be a blast! Choose from 7 services across 2 campuses, and expect great things as you encounter Easter like never before. Throughout Stronger, we have a ton of exciting things going on throughout the entire series. October 14th-15th – This weekend is all about “strength and fun” competitions! From tire flipping to tug-of-war, both adults and kids will put their strength to the test! Each campus will have special activities too – including high strikers, jousting or even rock walls! October 21st-22nd – This weekend we will have a chili cook-off and a hot pepper eating contest after Saturday 6:00pm and Sunday noon service at Western Branch, and 11:15am service at Suffolk! November 11th-12th – There will be special areas at each campus for all our Veterans making sure that we let them know how much we appreciate their service. The most important thing to do in 2019 is seek God and what He wants for our lives! We’re uniting together in prayer during this week of fasting and focus. Our fast is happening from Monday, January 7–Sunday, January 13, and includes daily times of prayer and worship, plus special experiences to encourage us throughout the week. Connect with other women at this night for just the ladies! Good Friday service at Community is like no other. We know Jesus died and rose again to give us the greatest hope for a future worth living. Good Friday commemorates the passion and death of Jesus on the cross as we come together to remember his sacrifice for our freedom. The service is a dynamic time of worship, reflection, and communion to prepare us for fully celebrating Jesus rising from the grave only a few days later. Join us for this unique experience—the kickoff to Easter weekend! The Parenting Seminar Q&A, on Sunday, March 3, is an opportunity for parents of middle and high school students to be encouraged, receive resources, and connect with other parents in the same season of parenting. Doors open at 6:00pm and snacks will be provided. Seminar begins at 6:30pm, wrapping up at 7:30pm. This is not an event, it’s a brotherhood. When men walk into their God-designed purpose, families are stronger, communities are better, and we experience God’s best. Be a part of the kick off of Brotherhood—on March 29, 6:00–10:00pm, experience an environment for men to build relationships and realize God’s calling on your life! $10 for preregistration, $15 at the door. Join us for a time to learn more and ask questions about either of these upcoming trips. This summer we’ll be serving, encouraging, and showing the love and hope of Jesus to kids and students in West Africa and El Salvador. Interest meetings occur at all campuses after every weekend service January 20–21. Learn more about the upcoming trips here. Connect with other women and be encouraged with this special night just for the ladies. We’re diving into the promise of peace and discovering more about this reality God makes available for us all. Focusing on peace in the midst of struggle, feeling peace when it “doesn’t make sense,” staying peaceful through busyness or stress, and so much more. Women are encouraged to have dinner before coming to the event, and to enjoy snacks, desserts, and refreshing beverages after the service ends. A special, free Holy Yoga experience is included for the first 250 women who register for yoga in advance. For all coaches, serve team leaders, and group leaders at Community Church! Come together and grow, be united, and strengthened as leaders. This time of worship, prayer, communion, church updates, and practical leadership teaching equips us to lead at church, at home, and in our day-to-day lives. 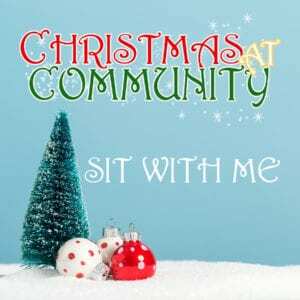 Community Kids is offered on a limited basis for infant–5th grade. Smoothies, coffee, and water are provided. A study of how the 23rd Psalm can move our lives forward. Check out messages from this series here. Heart for the House—a pivotal weekend in the life of Community Church and the city of Suffolk! This special weekend is a huge jump towards what God is doing in Hampton Roads. We are taking a special offering December 16 & 17 to help move into a permanent location for the Suffolk Campus, and you’re invited to make a difference through your generosity! Please be praying for what God would have you give, and click here to contribute online. Giving blood is a simple thing to do, but it can make a big difference in the lives of others! Sign up for an appointment here and use code “CCWB,” or walk in anytime during the event. 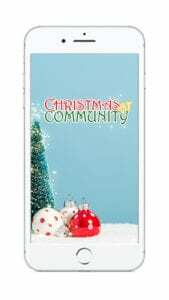 Want a free ugly Christmas t-shirt? If you’ve never come to Community Church before and aren’t already involved at another church, come join us November 25–26 and get a free shirt! Check out service times and locations here. 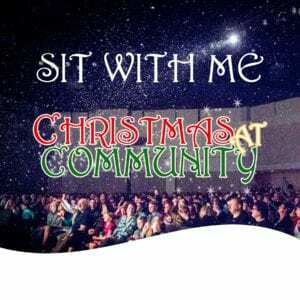 Community Church is partnering with Toys for Tots® and local families to help all kids experience an awesome Christmas! 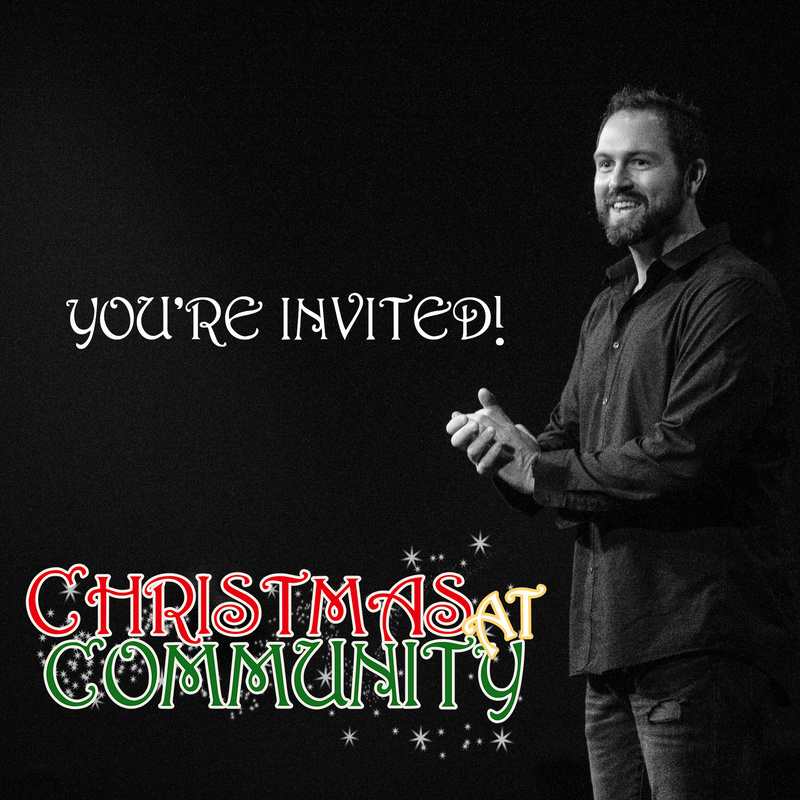 Help bring the joy of Christmas and send a message of hope November 25–December 13. Bring new, unopened, unwrapped toys to contribute, and check out these lists for ideas. Gifts will go to families who have requested help within the church, foster families, and families being served by Toys for Tots®. Pick up an empty box from any campus to fill with the items below and bring back to the Western Branch Campus on Saturday morning, November 17 between 7:00–10:00am. Before a word ever comes out of your mouth it was scripted in your mind, which is why the Bible tells us our thoughts run our lives! Do we stop to consider the impact of this truth enough? Check out the series here. Order the devotional paperback or Kindle. Mark your calendars for vision weekend as we celebrate what God has done and look forward to the days ahead. Fun activities happening at each campus. People can’t change people, only God can do that! However, people can love people and we are going above and beyond to show love to the 757 during Month of Love. There are literally dozens of opportunities to get involved and serve our community this August! 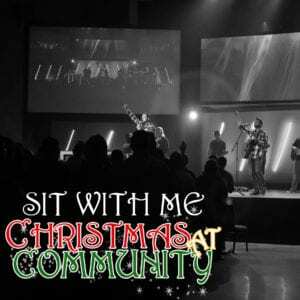 Go to community.church and register today to help the 757 live fully alive as we love and serve our community. In the reality of life we are so often looking for that “one thing” that can truly help us, truly change everything. When we decide to follow Jesus, we experience that “one thing,” only it’s not a thing at all, it’s a person. The Holy Spirit is the ultimate game changer for our lives and in order for us to experience Him as our game changer, we have to get to know Him better. That’s exactly what we are doing this July 8–29. It’s game-changer time. The saying is “Nerf or Nothing”, but we think “Nerf and Nachos” sounds way better. Participate in various Nerf-themed games, including a Nerf War, and enjoy a free nacho bar. Don’t worry about bringing your Nerf arsenal or ammo, we will have plenty to go around. Just make sure YOU are here! Calling all 6th–12th graders! Squad up with 4 of your friends to dominate the dodgeball court in 5-on-5 matches. Compete against 7 other players in Super Smash Bros. on the jumbo big screen. Or play some basketball, volleyball, football, and more. This month, if you bring a friend who’s never been to an Alive event, you and your friend take home a floatie! Don’t have a new friend to bring? That’s ok, bring all your friends anyway because everyone who comes on July 15 gets to cool off with a free root beer float. Food also available for sale. Middle and high school students! Join us for a special Alive United as we kick off the summer! This night is filled with all kinds of water fun, summer treats, and an outside service with an awesome message and music. Come ready for bowling slip ‘n slide, water balloon home run derby, slip ‘n slide kick ball, color war, free hot dog bar and more. Every student who comes gets sunglasses, and everyone who brings a friend gets a floatie! A special Memorial Day experience at the Western Branch Campus is still happening inside tonight. Bring those friends whose outdoor party plans got rained out! The hot dog bar, freedom pops, balloons, and fun activities are starting at 5:45pm, followed by service at 6:30pm. 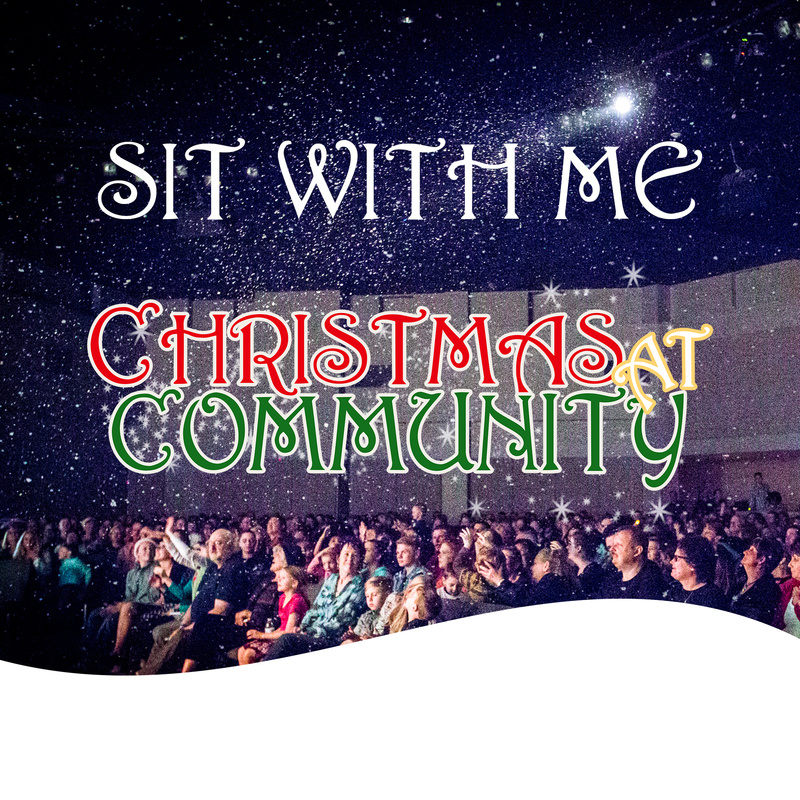 Bring someone to church with you May 20 or 21 and make a difference! Plus get an awesome FREE t-shirt while you’re at it. To serve our community in Hampton Roads, we are joining together to make a difference for local people in need. For every first-time guest who comes to Community Church during Bring a Friend weekend, we are providing meals for one person for an entire week. Make a difference by simply bringing a friend! Moms matter! We love moms and moms at heart, so we’re celebrating big this Mother’s Day. Enjoy sweet snacks and get an awesome family photo, along with a couple cool things for the kids. Mother’s Day at Community Church is an experience for the whole family! Come hang at this outdoor event designed for men. Have a great time and get connected. We’re serving a nacho bar, slider bar, Krispy Kreme and more. Experience team competitions of all kinds and claim the $5K grand prize for the winning team! Good Friday at Community is a service like no other. We know Jesus died and rose again to give us the greatest hope for a future worth living. Good Friday commemorates the passion and death of Jesus on the cross as we come together to remember his sacrifice for our freedom. The service is a dynamic time of worship, reflection and communion to prepare us for fully celebrating Jesus rising from the grave only a few days later. Join us for this unique experience kicking off Easter weekend! The meeting is for any student who is interested in going on the trip, as well as their parents. It will cover many details such as when, where, why, and how. The total price of the trip will be communicated, as well the payment breakdown and ways to earn money towards the trip. Registration will officially be open after the meeting, and people will have the opportunity to secure their spot by paying the initial deposit ($125). Hundreds of 6th–12th graders from all Community Church campuses throughout the 757 take over the building, once a month. Live DJ, music, games, food, prizes, VIP juniors and seniors. This month: Are you in for the win? EVERY student who fulfills our February/March #ftw challenge receives a prize! Students who came to Alive United February 18 received a sealed envelope listing the name of a mystery prize, challenging them to return with their sealed envelope March 18 to win what’s inside! Prizes include multiple sets of Dre Powerbeats3, Alive hoodies, hats, shirts and more. Didn’t get an envelope? Don’t worry. Every person walks away with something. Don’t. Miss. Out..
We want to be known. There is a longing inside so many of us. But what does it mean to be known? To know our identity? To know our impact on others? To be known has little to do with people knowing our name and everything to do with Whose name we are living by. What we do with our life matters more than whether or not people know we did it, and what we do is a result of who we know ourselves to be. Even when the author is unknown, the impact can be known, it starts with Jesus. Join us for this new message series as we learn to live a life the matters beyond our name. The Bible is the best book ever created. Its life-giving power comes not from owning it, but from knowing it. The answer to all of life’s questions and problems really can be found in the Scriptures. Community is reading the “Bible-in-a-year” together in 2018. Whether you’re reading the Bible for the first time or for the thousandth time, this plan is for you. Every time you read Scripture, it is an opportunity to learn something new. So let’s get to know God’s Word in 2018 and experience God blessing our life in a whole new way. Community is reading the “Bible-in-a-year” together in 2018. Whether you’re reading the Bible for the first time or for the thousandth time, this plan is for you. Every time you read Scripture, it is an opportunity to learn something new. So let’s get to know God’s Word in 2018 and experience God blessing our life in a whole new way. Fasting is one of life’s greatest game changers. Need an answer to prayer? Need wisdom for a decision? In a season of life change? When we fast together as a church things change, situations change, lives are transformed, and walls are broken down; true freedom can happen. In our hunger from fasting we learn to depend on God more; in our time saved from eating and meal prep we pray more. Fasting hits the reset button of our soul and renews us from the inside out. Fasting doesn’t make God love you more, but it causes you to be in a place to be able to experience more of His love. Fasting as a church will bring individual breakthroughs and a supernatural unity! Beginning January 7th we are doing a 21-day fast together as a church. In 2018, we are focused on experiencing God’s freedom in all areas of our life. We believe this is the year when many will find His freedom for the first time, but also many who have dealt with the same issues year after year will experience living fully alive, living free. When you give God your first through fasting, prayer and giving at the beginning of the year, you set the course for the entire year. Are you in need of healing or a miracle? Is there a dream inside you that only He can make possible? Are you in need of a real encounter with God? Do you desire a deeper, more intimate and powerful relationship with Jesus? Are you ready to know what God wants for you? Do you need to break free from struggles, addictions, or difficulties from your past? Is there a friend or loved one that needs Salvation? Partial Fast – For those who choose to or cannot do the full or Daniel fast we encourage you to do your best. Try a no meat, no sweets, and no caffeine or something similar. Remember, when a fast is doing what we are supposed to, we are focused more on God than we are on the food. Avoid spending large amounts of time doing meal prep. If you have a medical condition or are concerned about fasting for medical reasons please talk to your doctor. Click on the images below to save them and post them to your social media accounts. This year we are excited to help hundreds of kids have an unforgettable Christmas. Not only are we going to provide many gifts, we are also going to create a Winter Wonderland experience that hundreds of volunteers will get to be a part of. 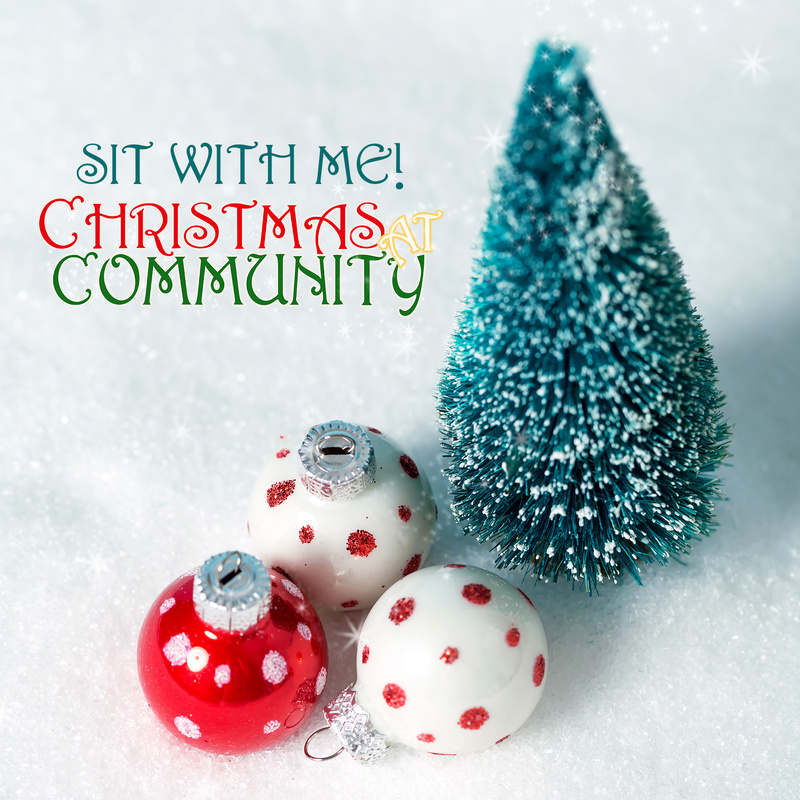 On Saturday, December 16th, we’ll serve breakfast, then the kids will get to enjoy the Playland filled with games, crafts, and activities while their parents “shop” for a toy, a book, and a needed item. There will be photo booths, gift-wrapping stations, and more! Sign up today to serve and be a part of this experience! Are you in need of childcare? Click the button below in order to you register your children. Ensure you register both yourself using the volunteer sign up above and your children using the childcare sign up. 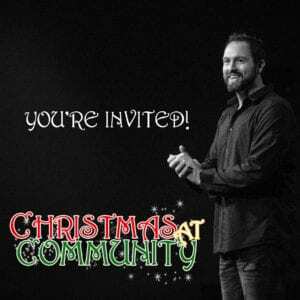 Christmas at Community will be an experience for the whole family!! This year we are excited to celebrate Jesus and enjoy the the season. 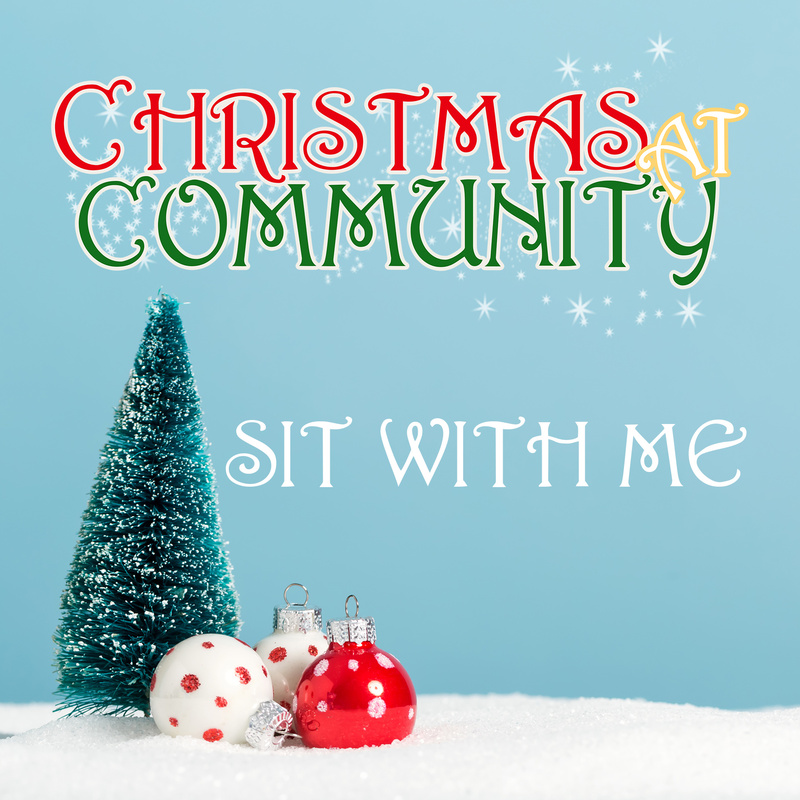 We will have interactive services, singing carols old and new, petting zoos, giant ice slide, family photo booths, hot cider and more! Dedicating your child allows you to express your public commitment to be intentional with the limited time we have influencing our kids’ lives by sharing love and hope of Jesus. Child dedication is a special milestone for your family, and we’re so excited to share this experience with you. Registration coming soon. Seasons – they happen and we don’t get to choose them. Many of us look forward to certain seasons and not so much the others. What if ‘Tis the Season wasn’t just about one season though, what if every season was your season? What if there was something special, something amazing God has for us even in the seasons of life that seem the most difficult? This holiday season, ‘Tis the Season. ‘Tis the Season for us to discover what Jesus has for us in each and every circumstance and season of our life! Veterans Day is coming soon and we want to honor our Veterans here at Community Church. As a way of showing our gratitude we will be having a Veteran’s only VIP area at each campus on Sunday November 12. Come enjoy some great food and drinks. To our Veterans, no matter where you served, or what branch of the military you are, know that we honor you and are so thankful for your service. 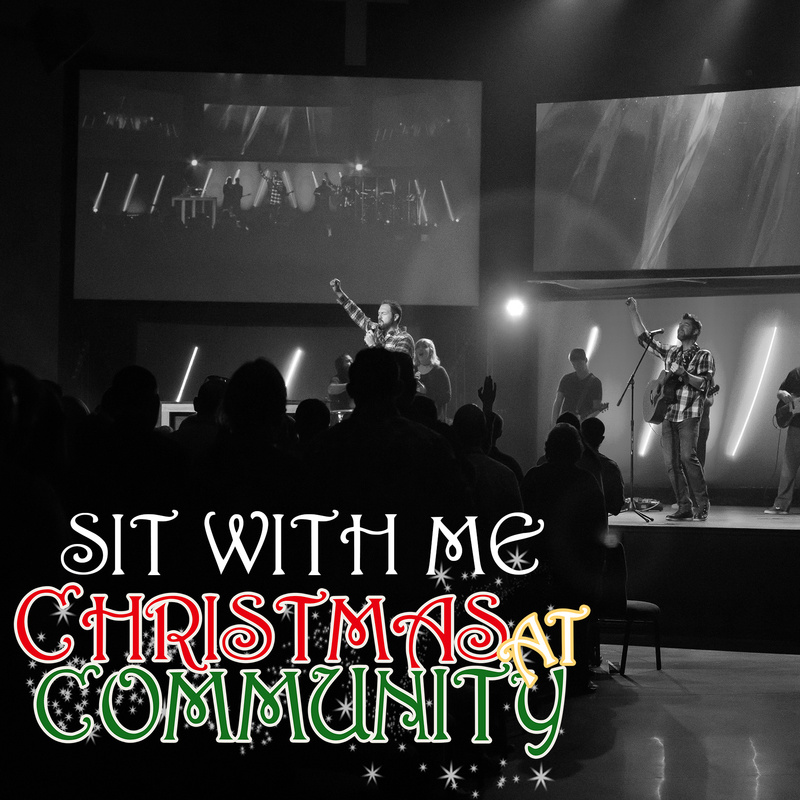 It’s time to thank and celebrate all those who serve to make Community Church happen! We’re going back to the 90’s for our Serve Team Celebration! Grab your walkman, set your AIM away message, page all your serve team friends, and head to the Western Branch Campus on September 22nd when the doors open at 6:30pm. Dress in your best denim tuxedo, acid washed pants, and track suits. Heavy hors D’oeuvre will be served, and don’t worry, it will be more than Lunchables. Childcare is available, but space is limited, much like in your covered wagon in the Oregon Trail! The first Wednesday of every month, we meet together for a time of worship, prayer, and communion. First Wednesday is a dynamic experience that leaves you feeling renewed and energized, ready to take on the upcoming month for Jesus. If you’ve never experienced a First Wednesday – the time is now! The weekend of August 12th & 13th , each person who brings a first-time guest will receive a specially designed free t-shirt for themselves and their guest. So be a bringer, get a t-shirt and watch God change people for the better! God created the world and by Holy Spirit He lives inside of us. The Church should therefore be the most creative people group on the earth today. When we tap into what God has put inside of us, we are able to lead the way creatively. God loves you and therefore He is not ok with you staying the same. We are either growing closer or further away from Him. We can keep moving forward because Jesus has changed us from the inside out.